Rimfire scopes are perfect for .22 rifles or smaller calibers that have little recoil and work well for hunting small game. Rimfire rifles and pistols are some of the most popular firearms due to their affordability and cheaper ammo, and they offer enjoyable experiences to all ages. A rimfire rifle is the most common rifle that individuals learn to shoot with and it provides a great first experience for all novice shooters. So the best rimfire scopes helps a lot to the newbie shooters to achieve the the idea to shoot accurately. Offering a field view at 100 yards and a fast focus eyepiece with great optics, this scope is an ideal fit for many .22-caliber rifles.. It works especially well if you have a Ruger 10/22 Takedown rifle. Its optics system provides razor sharp images, eliminates reflections and maximizes light transmission. 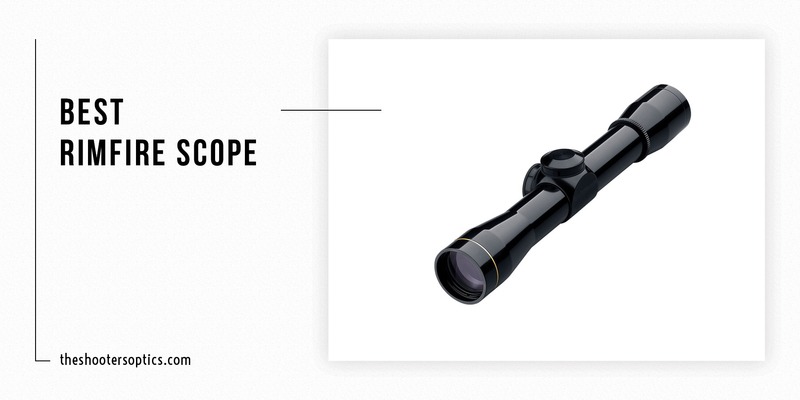 This scope also offers the perfect magnification for shooting at 100 yards. Leupold’s construction is simple and there’s no fuss. The scope weighs just 8 ounces and it lays low against the rifle thanks to the 1-inch diameter on the tube diameter. Instead of nitrogen, Leupold injects this with argon and krypton to prevent water intrusions. Several proprietary processes, such as imaging technology, abrasion resistance and matched lens system create a high-tech scope internally. Externally, all you need to do is adjust two knobs. The biggest downfall if is it does have a fixed parallax set to 60 yards, so if you want an adjustable parallax, the Leupold may not be best for you. Otherwise, it still works great for close range targets, whether you’re aiming for the pesky squirrel at the bird feeder 10 yards away or the rabbit digging up your garden 25 yards away. The second version that Leupold has to offer is also a fine choice. It has an extended focus range, so it works well for short or long distances. This scope also has upgraded turrets for windage and elevation. The Leupold VX-2 provides amazing clarity optics and definitely works great for .22LR rifles. This scope works best for 50-yard shooting, so you may have to be closer to your target. However, rabbits, squirrels and deer won’t stand a chance when you’re that close in the first place. Leupold is another great manufacturer with fantastic engineering behind it. The Leupold VX-2 version has an adjustable parallax, however it can be difficult to turn, and it is a little heavier than the Leupold VX-1. 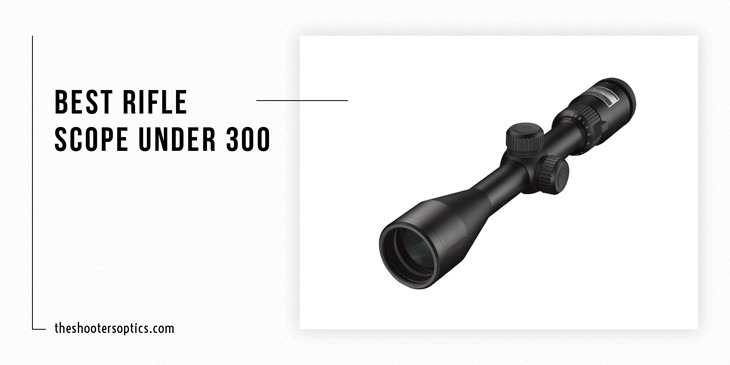 For adults, this high-quality eyepiece does well for .22-caliber rifles and even lower-powered air rifles. Price, but well worth it. Nikon isn’t known for rifles, but this company creates some great some great optical devices. For shooters who prefer to “dial-in” on their shots, the Nikon P is a perfect fit. The scope is lightweight and has precision optics that offer superior accuracy and great sighting speed. It is made to fit AR rifles. However, that doesn’t mean it can’t work for other rifles, just make sure to get the right size rings. The knobs sit far enough away from the center for easy adjustments. The company guarantees accuracy to ¼ inch at 50 yards, which means squirrels, rabbits and other small game don’t stand a chance. Purchase a separate mount for rifles with a 1-inch tube. The mount secures your scope to other sizes very easily. The Nikon P does have a fixed parallax set at 50 yards, which means it will work great for close shooting, but may not provide the most accurate shots all the time. Also, since it is set at a closer distance, this scope would not work well if you plan on shooting from 100 yards. If you do a lot of close-range shooting, this scope is perfect. It offers amazing optics that transmit up to 98 percent of light from dusk to dawn. The Nikon ProStaff also has a quick focus eyepiece for precise and accurate shooting and a zero reset turret to simplify field adjustments. The parallax is set at 50 yards and offers extreme clarity for close-range targets. Nikon injects nitrogen into this scope to prevent any water from getting into the piece. The manufacturer also says it doesn’t fog up. Once you set your parallax and drop, the eyepiece finishes the focus quickly in case your target moves before you can finish your shot. See-through ballistic circles let you zero-in on long-range targets, while the crosshairs center on short-range items. It can be difficult locating targets at further ranges, specifically at 100 yards. Although you can try this scope on other rifles, it is best suited for .22LR rifles. The entire piece weighs 0.81 ounce, so it’s not as light as other models, but it still works for younger shooters who need practice working with their aim. With outstanding clarity and light transmission, the Vortex Crossfire is a great buy. The scope is lightweight and has a fast focus eyepiece with a field view of 100 yards. Also, it has excellent magnification for those shooting at longer distances. Vortex created this piece as a thinner, more lightweight version of previous models. 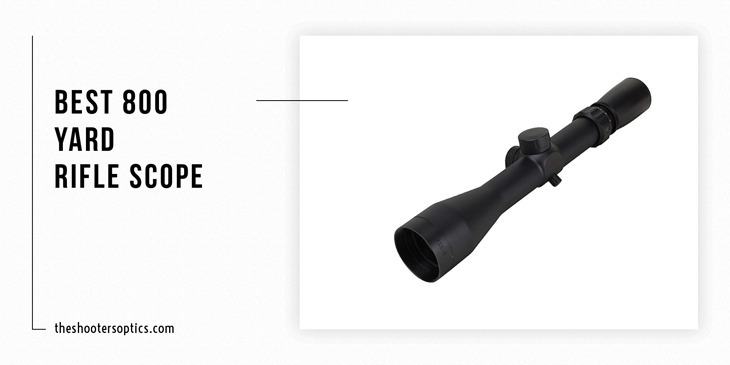 The nitrogen-purged scope is waterproof and fog-proof in any conditions. The large field of view makes finding your target easier. Anti-reflective lenses make the optics clearer so you can focus on your target and not any plays of light. Vortex isn’t as well-known as other manufacturers, but this is a good, mid-priced scope. The parallax is fixed at 100 yards, so if you are planning to shoot at closer targets, you may want to look into a different scope. However, the Vortex Crossfire works well with a variety of different rifles, just be cautious about ring size, weight and adjustability. Although this scope is made to fit an AR-22 rifle, it fits with just about any other type of rimfire rifle, as long as you have the correct size rings. This Bushnell contains an adjustable side parallax that zeroes at 50 yards, but can be adjusted between 50 and 125 yards. It also has target turrets for pinpoint precision and a caliber-specific reticle for flawless accuracy. In addition, the fast focus eyepiece provides optimal reliability on shots. Instead of two knobs, this scope has three knobs in the center. Bushnell is one of the top rifle optics companies in the world, and this scope is one example of that. The inside of the scope is sealed with nitrogen to prevent any moisture from interfering with the optics. This scope is made from aluminum and it’s rust-proof for when your hunting drip turns rainy. The manufacturer warns that the medium height of this scope prevents low-scope readings, so adjust your knobs with care. Otherwise, your down-range readings will be off. This scope does weigh a little over a pound, which is heavier than most 2-7x32mm scopes, so if you’re looking for something lightweight or something more suitable for younger users, you may want to try something else. Also, the power ring can be hard to turn, and that could present a difficulty for some shooters. Simmons offers precise clarity with high definition optics. It has a field of view at 100 yards and has perfect magnification for that distance. The images are clear regardless of the weather, and the scope is also lightweight (only 1 pound) and waterproof. In addition, it has the added benefit of SureGrip rubber surfaces to allow for easy adjusting, even if you’re wearing gloves. This rimfire scope would be perfect for younger shooters who need something more lightweight, but still want better optics and are shooting at distances of 100 yards or closer. The lens coating keeps a clear picture in all lighting conditions. The manufacturer even states this scope sees things in HD quality. Even better, Simmons is one of the premier manufacturers of high-quality scopes packed with features. However, the Simmons .22 may not be a good fit for all rifles, since it is made for a .22 Mag. The silver aluminum finish might stand out from the rest of your hunting gear, so consider getting the black matte version if you’re serious about cutting down on light reflections. For a practice scope or a kid’s rifle, this is an ideal piece. So, how do you decide which scope works best for your firearm? There are a variety of factors that you have to think about when choosing an optic. Although rimfires can go quite far, they max out at 100 yards and give at least a foot of drop towards the target. The types of guns that go with rimfire scopes are not meant for shooting at extremely long distances, so for the best quality, keep your target within a shorter range. Consider for whom you buy the rifle, because the weight of a scope can be a huge factor. For instance, if you are buying for a 12-year-old, you may want to consider a scope that is lightweight and affordable. If you look at a Ruger 10/22, which is already about 5 pounds, you may not want to make it any heavier than it has to be. Most rimfire scopes are long and skinny. The incoming aperture is around the same size as the exit eyepiece. Towards the middle of the scope, you have two knobs that adjust the optics within the scope. The knob on top adjusts for elevation, while the knob on the side adjusts for the wind. A knob close to the eyepiece adjusts the magnification. 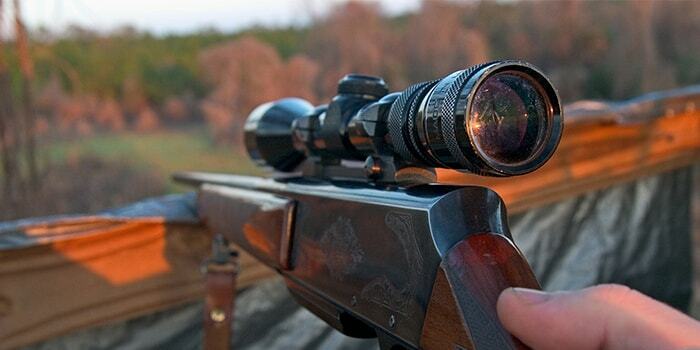 All of these settings should be adjusted before you hunt, which means you hit the practice range and set up targets. Since there are many different scopes, you have to understand which one works best for you and your rifle. To help make your decision easier, listed below are some of the best rimfire scopes on the market, as well as factors to consider before buying. Rimfire rifles are lower-powered than ceterfire ones. The reason revolves around the firing mechanism. 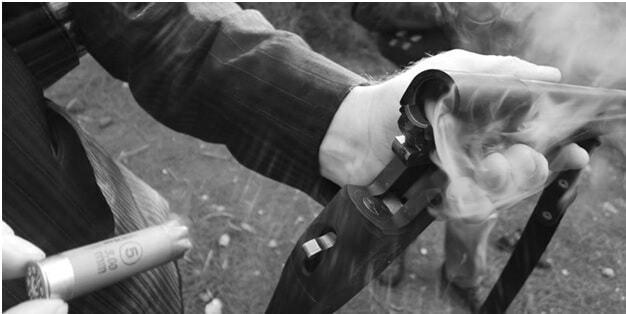 The firing pin hits the rim of the bullet in rimfire rifles. In centerfire rifles, the firing pin hits the center of the bullet. As such, centerfire rifles shoot farther and more accurately over long distances. There are many different types of guns, all made for a variety of uses, which is why one scope doesn’t necessarily work for all firearms. Rimfire scopes are generally recommended for .22 rifles and handguns since they are meant for targets in closer range. Centerfire scopes are better for long-range hunting and are able to withstand more recoil. Since handguns and rimfire rifles typically have a lowered recoil, rimfire scopes are not designed to handle higher recoil action. In fact, if you try to use a rimfire scope on a centerfire rifle, you could potentially shatter your scope internally. Another big difference between the two optics is the distance they are set at. While centerfires are usually set with a parallax of 150 yards, rimfires are only set around 50 to 60 yards. Parallax is when the target and the crosshairs are both in focus. Anything further away or closer to you will have some out-of-of-focus parallax, which is why it is important to have the proper scope for your hunting needs. Centerfire scopes are more powerful and see further distances, so if you’re doing long-range hunting, stick to an optic that’s going to offer the most benefits. Otherwise, if you just want something to scope out those pesky critters in your yard, go for a rimfire optic. It is extremely important to consider the magnification level of your scope. 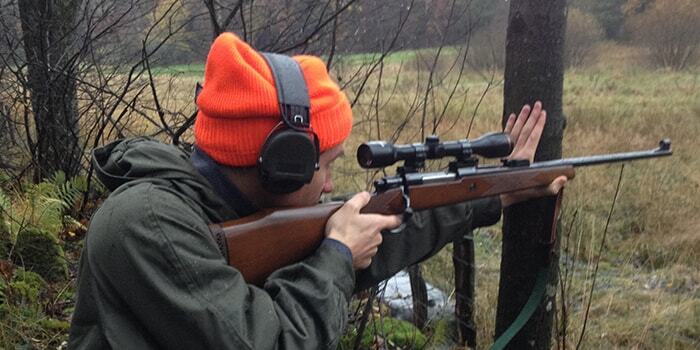 The intensity of the magnification of your scope highly depends on the distance at which you are shooting. Since rimfire rifles and handguns are typically used for shooting at 100 yards or less, having a higher magnification on your scope actually worsens your shooting accuracy. Having powerful magnification can be quite helpful when shooting long distances. However, when you are shooting in close range, a higher magnification causes the target to become blurry, making it more difficult to see. Plus, having a blurry target can make your eyes tired and potentially hurt your vision, which makes hunting small game impossible. Not only that, but a powerful optic is usually heavier and highly unnecessary for a rimfire rifle or handgun. Instead, stick to a lower-level magnification. The standard level recommended for rimfires are generally between three to nine optics. Consider the distances at which you’re shooting and what works best for you to help you decide on what level of magnification to choose. An optic of four usually works best for 100 yards or less. Anything higher than a nine is going to be too much. As mentioned above, many rimfire scopes are set at a parallax of 50 to 60 yards. This is fine for shooters who are staying in that close range, however it could pose a problem for anyone wanting to shoot at further or closer distances. Parallax is like an optical illusion, and if it is not set properly, it can cause inaccurate shooting. The best way to check if your parallax is set correctly is to line your sight up to a target in your normal firing position. Then, change the angle of how you’re looking through the scope. If the change moves the reticle, or the lines on the optic that help locate your aim, then the parallax is not properly set. For many rimfire scopes, it is best to get an adjustable parallax. Having an adjustable parallax allows you to freely change the range of your scope and provides more accuracy with shooting, whether you’re shooting from 50 yards to 100 yards. Having a fixed parallax is fine if you are only planning to shoot from that distance all the time. However, keep in mind that a fixed parallax may not provide the most accurate shots. Although fixed parallaxes of 50 yards aren’t perfect, they do allow you to engage in closer ranges. The biggest reason as to why adjustable parallaxes are recommended for rimfire scopes is due to the use of the rifles. These types of firearms are generally used to hunt small game, which requires a better focus that can be adjusted between distances. If you’re off a little bit on bigger game like deer or turkey, chances are you’ll still likely get a hit. However, on something small like a rabbit or a squirrel, you’ll probably miss. Each rimfire scope has different characteristics, pros and cons. 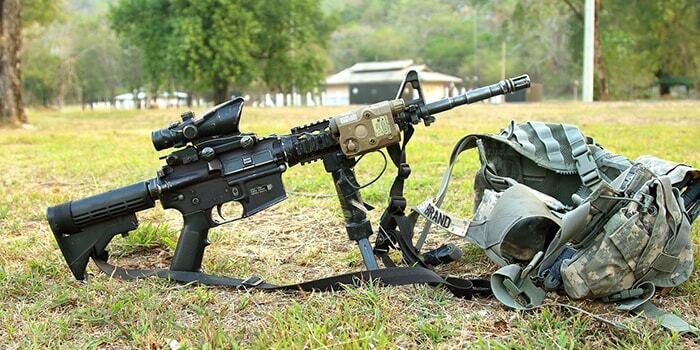 You should pick one that suits your needs, fits the best with your rifle and suits the purpose of the weapon. If you’re climbing a tree with a hunting stand, you might consider a lighter weight scope so you you can pack more supplies for your trip. If you’re just going to the back of your 100-acre property to hunt for squirrels or rabbits, you could probably buy a heavier scope. Here are some recommended rimfire scopes to compare for 2018. If you have a hunter in your life, these make great gifts. In our best rimfire scopes list, either of the Leupold scopes are great buys for anyone who needs a high-quality scope with great clarity. If you don’t want to spend as much money, Bushnell’s model has high-tech options even though it weighs more. You can’t go wrong with Bushnell or Leupold products when it comes to optics. Nikon scopes are also a good purchase. The best thing you can do is go with a trusted manufacturer within your price range and your rifle’s caliber and you should be just fine. After that, it just takes practice to find your perfect shot.